During the Neolithic period, there was a big turning point in the field of artistic creation. The Neolithic art, in relation to the Paleolithic and Mesolithic period underwent through a complete transformation, and the perfection of creation. 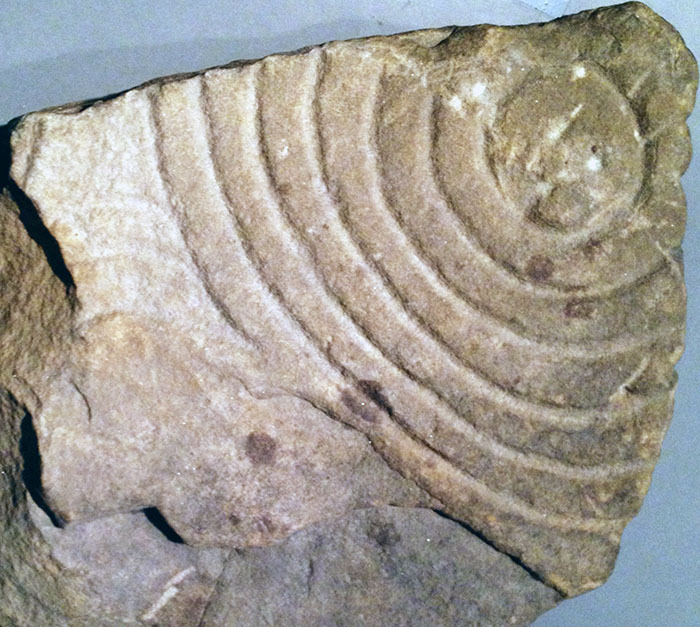 Early Neolithic people usually decorated some specific surface with different geometric patterns or they only formally depicted through scheme a certain natural forms. Their pictures were primarily inspired by a certain dose of realism. Only in drawing figure of Mother Goddess they preserved continuity between Neolithic from one side, Paleolithic, and Mesolithic from other side. One of the greatest human achievements of early stages of the Neolithic era is the emergence of pottery. The more interesting by its looks and decorations were Egyptian and Asian ceramics. Egyptian Neolithic pottery stood out from the rest by its good production, richness of forms and ornate decorations. That was definitely a perfect ceramic goods made without the help of the pottery wheel. The creator of the original ceramic art undoubtedly was a woman. The second stage of artistic creation is characterized by carving in the stone. They made with this technique objects, which had a significant artistic value. In El Badari and El Amrah (Egypt) it was discovered birds and animals, which were usually used for decoration of combs peaks and ladles, as well as various pallet depicting wild mammals. All these specimens represent immediate and concrete hints of everything that will happen later on. The stone vases and pottery over time became favorite objects in the house and family. That is why ceramics gradually, but surely approached and adapt to its purpose in shape and decoration. Acceptance of arable lifestyle, from the very beginning, must have changed the religious consciousness of the people at the time. Farming reinforced in humans a completely new interest for the sun, the earth and the rain. However, there was still at the Neolithic people well-established compliance with the cult of the Mother Goddess-. To this cult only slightly approached cult of axes and the cult of the dead, and all together was connected with the fertility of the soil. That is why, the deity was introduced and it was related to the mother – the Earth, in which needed to burying dead seed, which after some time revives again. This deity was respected by all agricultural communities of the early Neolithic period. The earliest Neolithic communities carefully buried their dead ones, often with food, utensils, tools, jewellery, and with other simple burial objects, but without strictly determined burial rites. The dead ones were usually buried in a bent, lying on the side, in individual graves between the houses in the village or outside the village on the smaller cemeteries. An important feature of the Neolithic tribes of herdsmen were double graves, which at the same time was buried a husband and wife. In fact, these graves testify that the herders would kill the wife of the deceased in order to put her beside her husband in the grave. Religious interest for animals was only slightly, to a minor extent, preserved in Neolithic cultures, although the evidence of the animal’s cult was discovered in the two oldest farming families.